Ricard Farms Long and Short Term Objectives? Ricard Farms believes in the quality products it sells but also values its customers by building strong and sustainable relationships both in Canada and the United States. 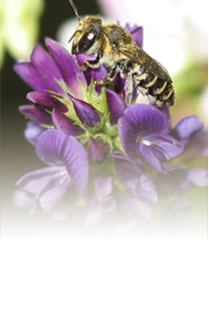 Originally founded as a partnership with Ray and Gene Ricard in 1993 and Incorporated in 2008, Ricard Farms Limited is in the business of alfalfa seed and leafcutter bee production, exporting bees to customers in the United States, and with the retailing of grass seeds to the Estevan and surrounding areas within Saskatchewan. Family owned and operated, Ricard Farms has been a father and son operated business since 1993. It attributes its years of success to incorporating family values within the daily running of its operations with respecting the product that it produces and valuing the customers we serve within Saskatchewan and the United States. Our strong commitment to offering a high end product both within our seed sales and bee brokerage division matched with our low overhead costs will ensure our businesses success for future generations to come.